It can be an entertaining experience to watch pigeons doing work or eating, but there are various problems related to these when it comes to save the house or any building from their damage. 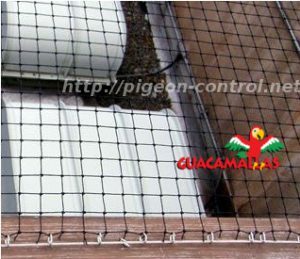 Bird netting is the method of bird control. It is also known as bird barrier as it restricts and provide hindrance not allowing birds to enter an area or a spot. It comprises of the use of the net to keep the birds away from the potential risked plants and their products. They come in a number of varieties based on size, forms and shapes. These plastic nets are generally made of woven polyethylene or polypropylene. These also acts as UV protectors as they have carbon black coating over them. These nets may also be manufactured to function as hail nets too to protect from momentum transfer of hails during hail storms. So by using these polymer nets one can ensure bird control over the attacks on fruits, leaves, flowers and other important parts. Hampering your bird habitat with a bird net is the best way to keep them away. The number one pest bird is considered to be the feral pigeon. It creates a mess and results in heavy damage hence it is needed to look for pigeon-control parameters. European home pigeons are the ancestors of today’s pigeons. Due to the disease and pigeon damage problems pigeon-control is very important. Moreover, the pigeon feces contain uric acid which is highly corrosive resulting in damage to metals and related materials on which they sit or make nests. They build up debris in their living area which backs up drains and gutters causing roof damage and flooding conditions. There are cases of machine failures due to the nesting debris and other materials mainly of air conditioning systems which pigeons prefer greatly. Other damages include unclean, unhealthy and dirty place which increases the problems. Serious diseases like encephalitis, histoplasmosis, salmonella, toxoplasmosis, meningitis and many more can be transmitted by the pigeon droppings. To look for bird control one need deterrent devices or exclusion products or other humane population control measures. But based on rules and regulations of the area one should deal with these birds. There may be local or national laws to protect these or certain limits to act upon while dealing with these. After the confirmation one may proceed to the bird control part. For the bird control one need deterrent devices or exclusion products or other humane population control measures. 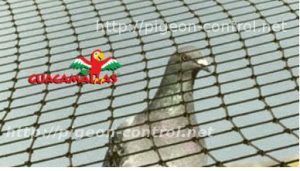 The first option of analyses of pigeon-control is the use of anti-roosting type spike strips. These are installed to spots which are preferred by birds to perch like the roof of a building or house. These spikes are easily available on hardware stores or other related shop or mall. One may ask for an installer or attach the setup on his own by following the instructions of manufacturer. The second option is to install some weather proof string in a preferred roosting area. String is to be tied from one point to another based on the bird roosting popularity. It is preferred to place the string almost 1inch above the perching area. As the birds hate unstable surfaces to sit so they will try to change their preferred spot and if lucky one might get rid of them. Another method is by installing sloped sheathing. Plywood, metal or PVC sheathing provides a surface which is slippery in nature which makes birds to stop roosting over it because of instability. There are products for sheathing like bird slide comprised of three sheaths forming right triangles. On the flat area of roosting the base is fitted. The surface required is about 40-60 degrees to make the birds perch. It can be placed over ledges, eaves, sills of window and other flat surfaces which are preferred for roosting by birds. The easiest of all is to avoid feeding the pigeons. This can prove to be the least hectic bird control. Pigeons due to their excellent memory remember every time they are provided with food. And they can identify the food sources and hence one should never feed them. Not only avoiding providing food but also eliminating food sources other than that is important to get rid of these species. Availability of food like berries, grass seeds, cat or dog left food, seeds stored in an open area, etc. If you will eliminate these sources they will have to find another place to find food and hence there is a chance that they will leave that area. The modes of bird control include tuck netting at spots under pigeon nests, water spraying, , by using reflective surfaces, or professional support. Other ways by hindering their habitat and this can be achieved by many approaches. The first and foremost is sealing the attic. One should fill and close all the gaps between siding of house or roof shingles or any other spot in the attic which could be the access spot for pigeons. The edges of the places should be sealed by using silicon caulk, hardware cloth or polymer bird netting. The space in between rafters and the tiles should be closed with bird netting as these are the sweet and preferred spots for pigeons to roost. Not only attic sides but also chimneys need proper capping. Pigeons enjoy and prefer roosting in and on the chimneys. So stainless steel meshes and caps installation should be edone hence preventing the birds and animals from entering the chimney and simultaneously not hindering the way of smoke. The scaling of the roofs should be done by skilled personals as it could be a dangerous job. Other modes of bird control include tuck netting at spots under pigeon nests, water spraying, scare pigeon installation, by using reflective surfaces, or professional support. 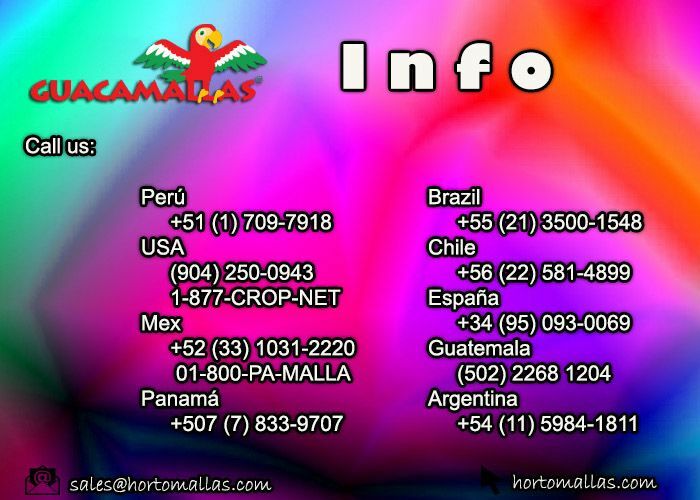 You cand find more information about many kind of nets and meshes for bird control here.